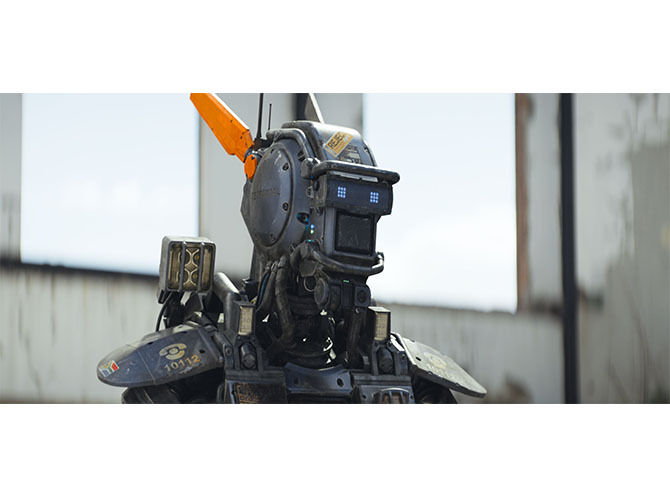 Image Engine Tames "Chappie" Renders with PipelineFX's Qube! How many CPU minutes does it take to make 1,000 VFX shots for “Chappie”? Over 95 million – or, put another way, the equivalent of one computer working non-stop for 2,000+ years. With numbers like these, it’s no wonder VFX houses like Image Engine refuse to leave their render farms to chance. Major movie projects and custom pipelines require something more, and for Image Engine, that something is PipelineFX’s Qube! – the most trusted render farm manager for VFX. After 20 years in the business, Image Engine is no stranger to sci-fi. Since 1995, the Vancouver studio has contributed feature-quality work to “Elysium”, “The Thing”, “R.I.P.D.” and Neill Blomkamp’s worldwide smash, “District 9”. Now, with Sony Pictures and MRC’s “Chappie”, a 150-person team tackled Blomkamp’s latest tale about a police droid who gains the ability to think and feel. Charged with fight sequences, hard-surface character creation, live-action animation, comps and lighting tasks, the 500 machine render farm was put to the test, making the need for stability even more important. Image Engine, the primary facility on the project, spent nearly a year and a half creating the VFX. Qube!’s role was to make sure that the project hit its deadlines and didn’t derail renders for any other in-house projects. This flexibility emerged again when it came time to integrate Qube!. While their tools might look familiar – Maya, Nuke, Houdini, Shotgun and RV – their backend was not, leading the team to develop an abstraction layer that would modularize how custom render jobs interact with Qube!. For most studios, this would be unnecessary since Qube! comes with over 40 job types that cover all industry-standard packages, but for Image Engine, a custom system meant specialized needs. Qube!’s open API came to the rescue. Since its inception 12 years ago as a proprietary tool for Square’s “Final Fantasy: The Spirits Within”, Qube!’s growth has matched the needs of 3D artists, often designing features based off onsite discussions with users. Utilizing PipelineFX support on “Chappie”, Image Engine was able to optimize Qube! so they didn’t have to buy additional licenses for the project’s last push. To respond efficiently meant running at full capacity, and to do this, Image Engine turned artist desktops into render nodes when they weren’t in use. By using a custom tool that runs on all internal Linux workstations, Image Engine was able to query users on whether their machines were available for duty. This exclusive feature maximized the studio’s farm output and ensured that their system worked 24/7 at as close to 100% capacity as possible. Full capacity and over 500,000 total render jobs also generated a lot of pipeline intelligence. Using Qube!, Image Engine was able to harness its database to inform their own strategic decisions. “Chappie” is in theaters now. As the leading provider of intelligent render farm management solutions for digital content creation, PipelineFX provides software, support, consulting and training services worldwide. Qube! runs on more than 30,000 render nodes at over 700 customers in 51 countries and is used to render film and visual effects, post production, broadcast, design, games and education media. Clients include Apple, Arc Productions, Base FX, BBC, Cinesite, Deluxe, Dyson, Efilm, Electronic Arts, Google, HBO, Hasbro, L.M.U., Lockheed Martin, L’Atelier Animation, Method Studios, MPC, NBC Sports, Next Media Animation, Nvidia, NHK, NYU, Original Force, Pratt Institute, Procter & Gamble, ReelFX, South Park Studios, SVA, Target, Technicolor and many others. PipelineFX is headquartered in Honolulu, HI, and has offices in Los Angeles, London, Portland, Las Vegas, and Vancouver. A privately held company headquartered in Vancouver, Canada, Image Engine is led by CEO and co-founder, Greg Holmes. Image Engine has gone from strength to strength since its beginnings in 1995, including work on blockbuster movies and much-loved TV shows, and an Academy Award nomination for its visual effects work on “District 9”. The studio is currently in production on “Point Break” and “Jurassic World”.